Make a Face Portraits is photography software to create unique composite pictures of faces. 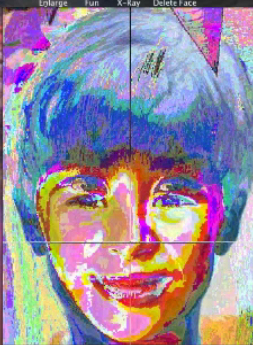 The process by which Make a Face Portraits operates is dependent on the process used by the original Make a Face® app, available in versions for OS X, iPhone, and iPad. Make a Face Portraits can apply thousands of different paint applications to the face pictures you upload and merge with the faces of your family, friends, and anyone else. 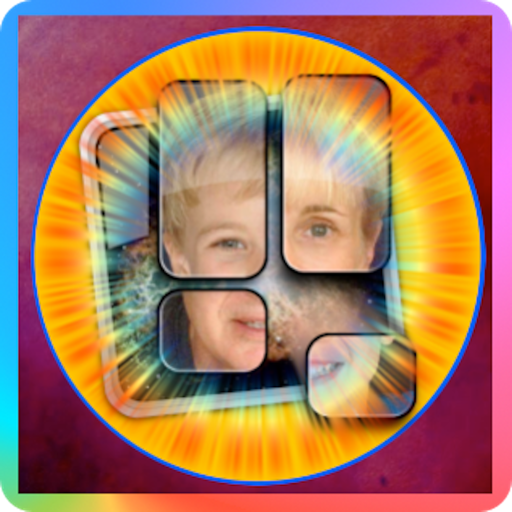 Make a Face Portraits is also a great social networking platform used by friends, family, and people everywhere who enjoy looking at facial pictures of themselves and others joined into an infinite number of interesting and animated combinations. 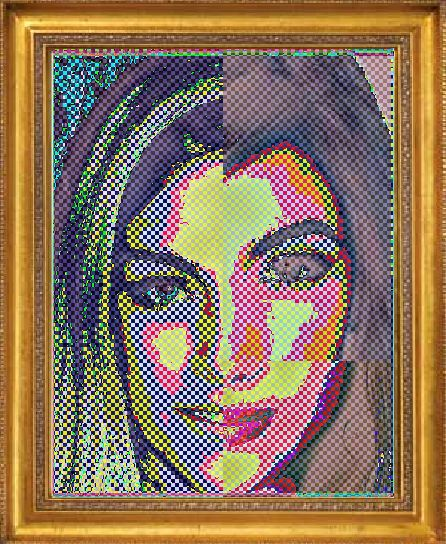 Any picture of any face, including historical figures and well known personalities, can be integrated into the Make a Face Portraits display sequences. For people who enjoy looking at people, Make a Face Portraits gives them a way to see themselves in ways they have never seen themselves. 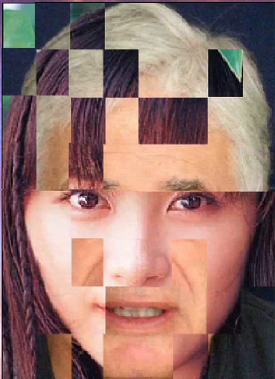 Make a Face Portraits will combine, rearrange, and animate the components of any image. You can, of course, also create all sorts of weird, peculiar, funny, and dysmorphic effects by double clicking in lopsided places on your imported graphic. A few experiments will give you the idea. 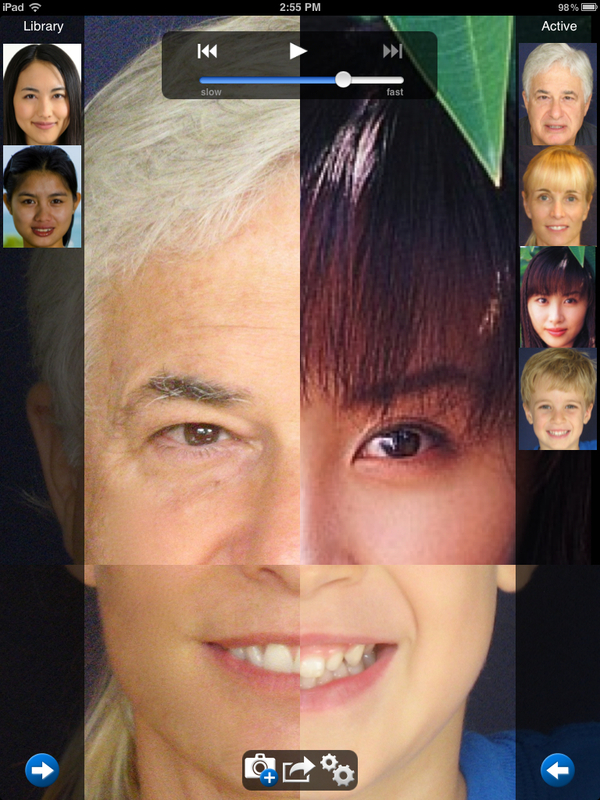 Clicking the “Animate Faces” button will start an automatic, random selection sequence of mingled faces. A click will stop it. 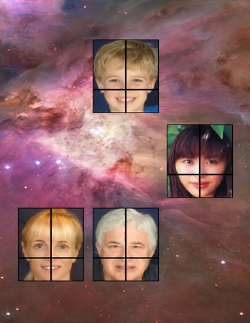 Clicking the popup menus at the corners will allow you to choose which specific face quadrants you want to display. 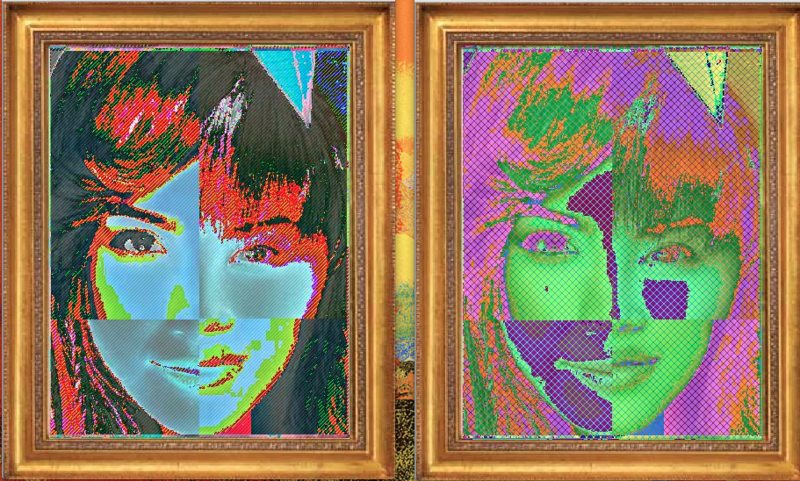 You can turn the merged images of up to four different faces into intriguing and uniquely multicolored visual art. The faces will be simultaneously both instantly recognizable and unrecognizable. Make a Face Portraits divides photographs of human faces into quadrants whose common point is the center tip of the nose. These quadrants are then combined into an animated display that creates a smoothly aligned video of the joined, but individually recognizable, facial images from multiple facial graphic sources. If you like taking pictures of yourself (on a good day), and if you like creating interesting photos and animations of the faces of your friends and family, then Make a Face Portraits gives you a quick and simple way to create and send photos taken from a unique and interesting array of colorful and original perspectives, from the sublime to the ridiculous.